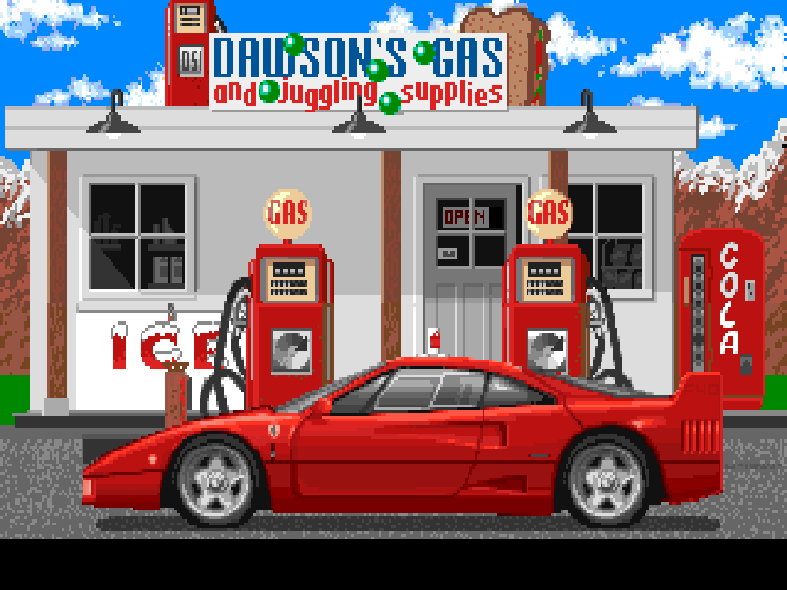 A curvaceous soda machine from Test Drive Unlimited 2! 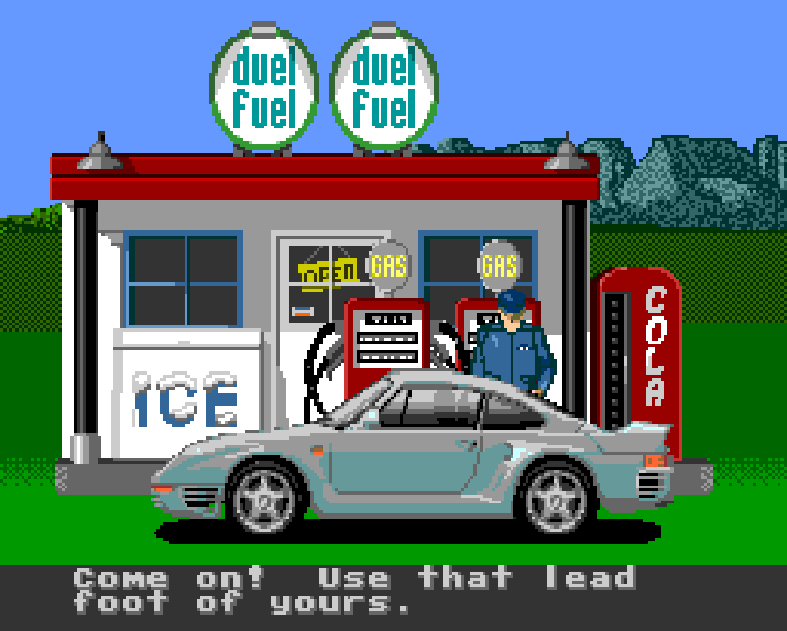 After you’re finished purchasing gas and juggling supplies, be sure to grab a cola before hitting the road in The Duel: Test Drive II! 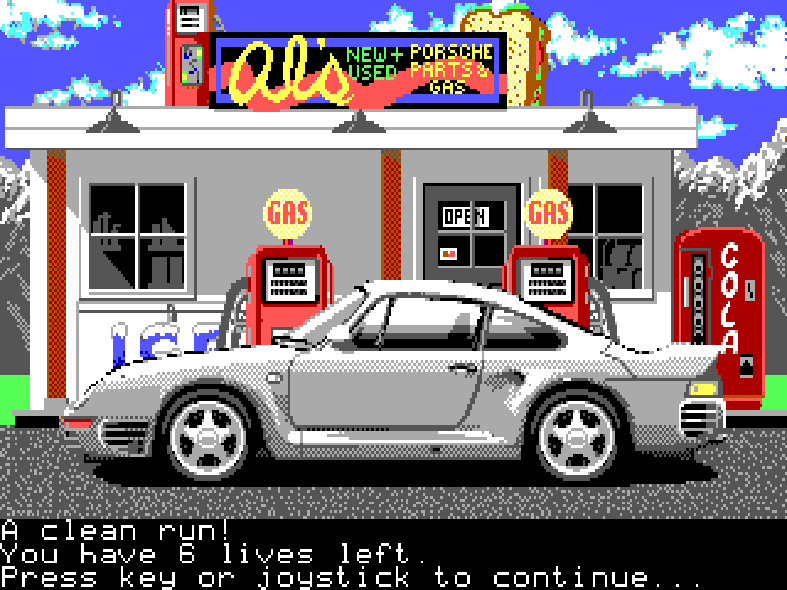 The image above is from the Amiga release. 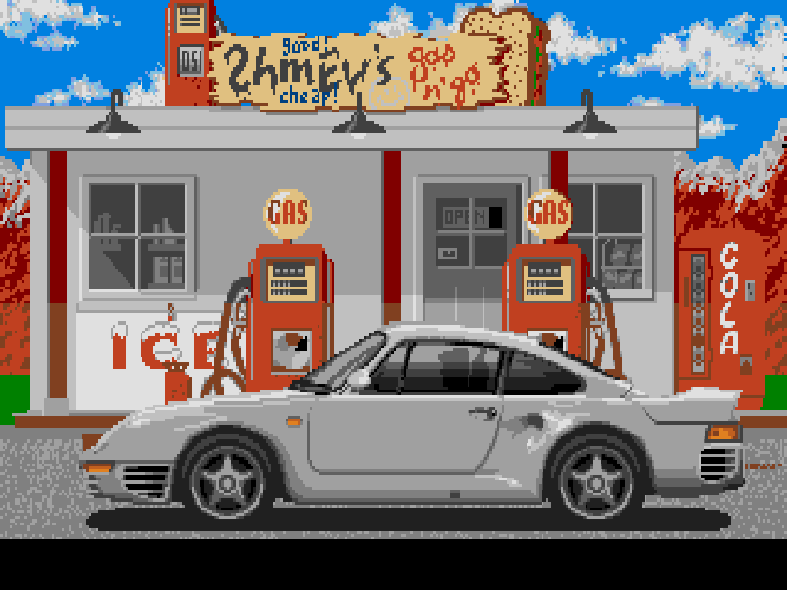 Here’s the DOS version for comparison. 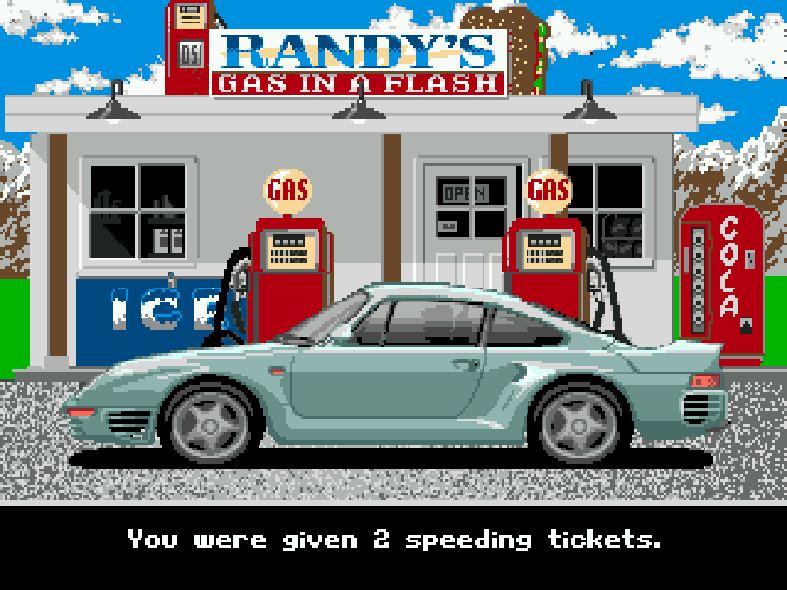 Next up is the Atari ST release. 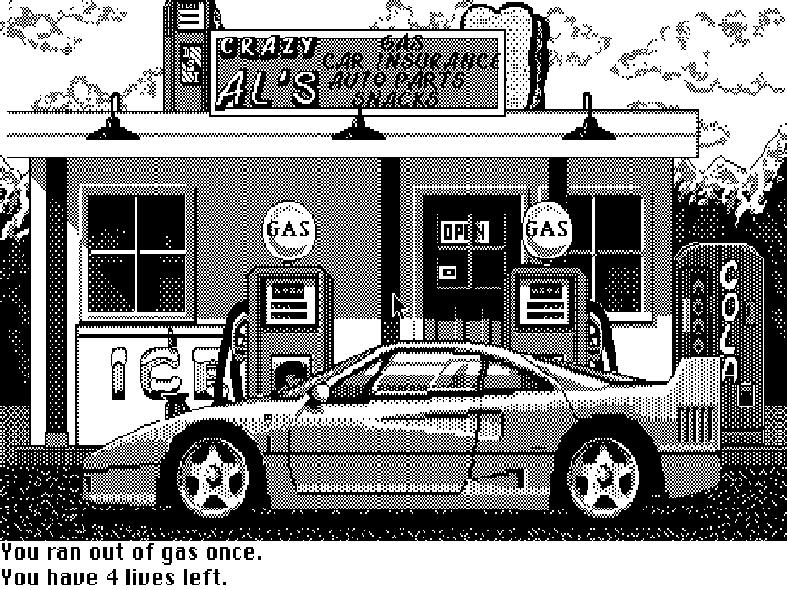 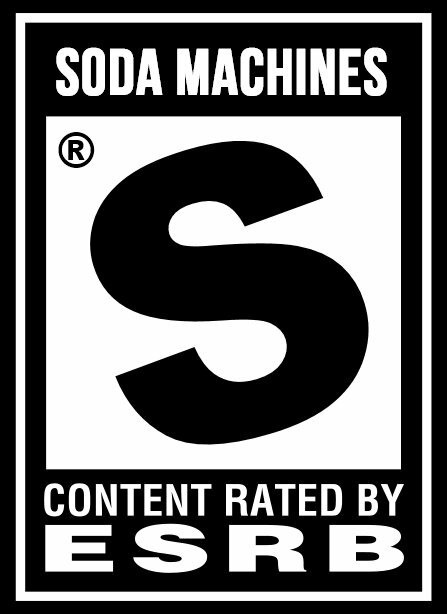 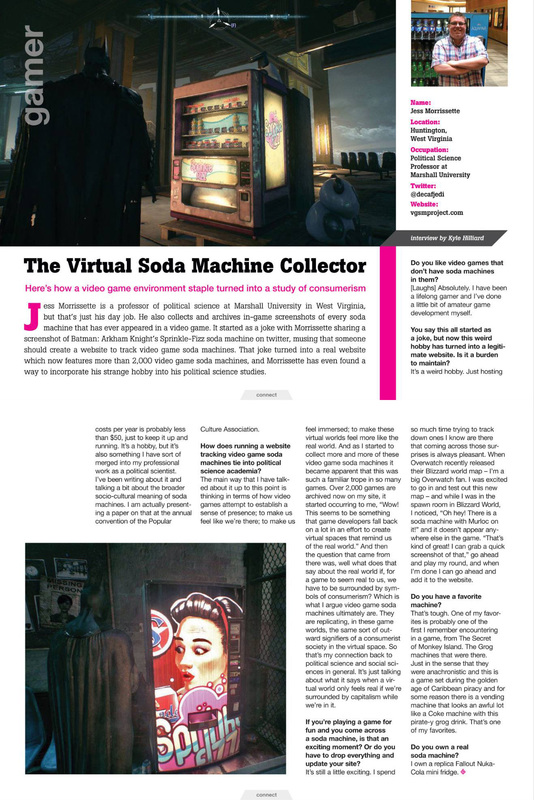 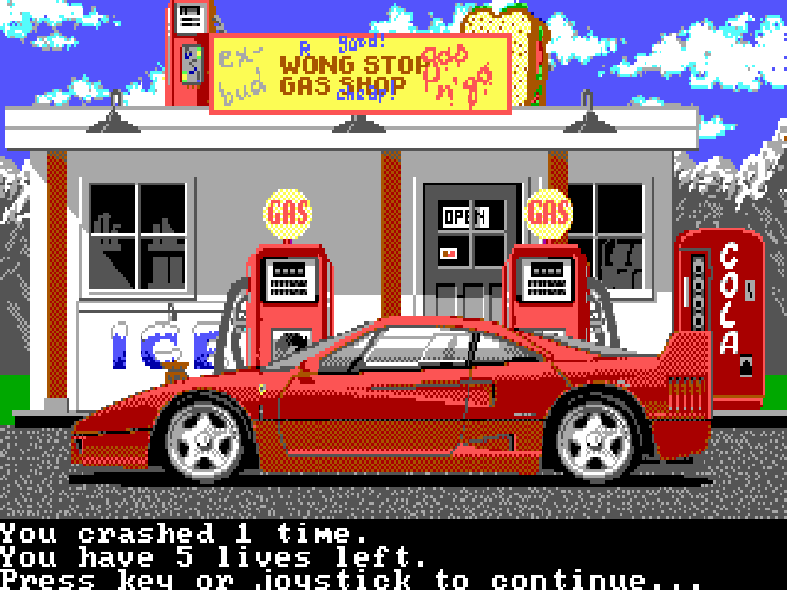 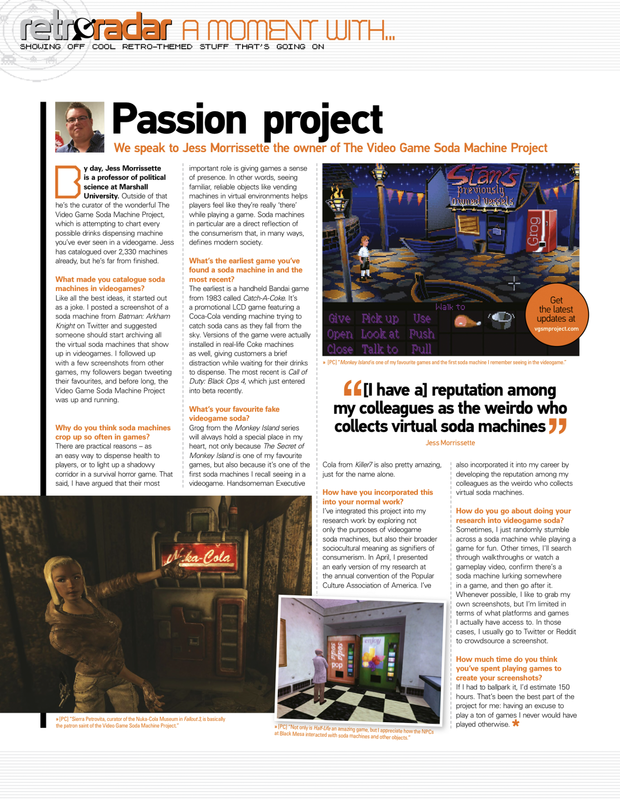 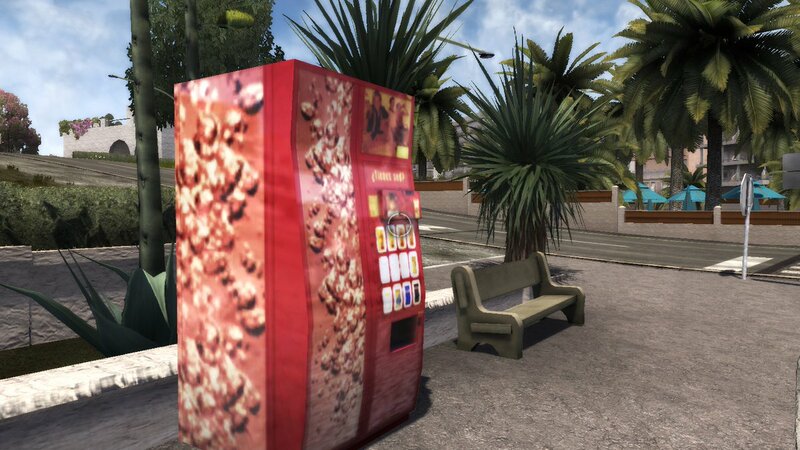 Finally, here’s the cola machine in the Genesis port of Test Drive II.